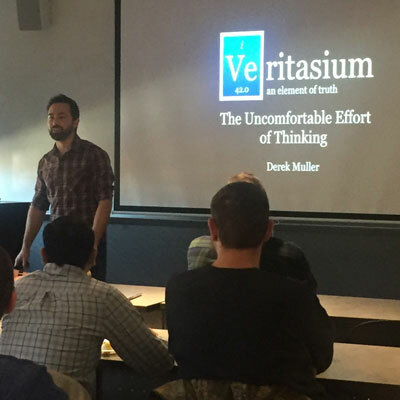 Dr. Derek Muller shared his successful approach in Veritasium.com for communicating science with our group and the other chemistry education grad students. He also gave an insightful seminar describing how his physics education research in his PhD informed his approach. He is now communicating with over 1 million viewers online, and able to collect interactive data using YouTube algorithms.